The one thing that these presentations do not capture is the plovr demo that I have been giving during my talks. (This was also the first time that I demoed using plovr with jQuery, as I had just attempted using jQuery with plovr for the first time myself the night before. I have an open topic on the plovr discussion group about how to make plovr easier to use for jQuery developers, so please contribute if you have thoughts!) 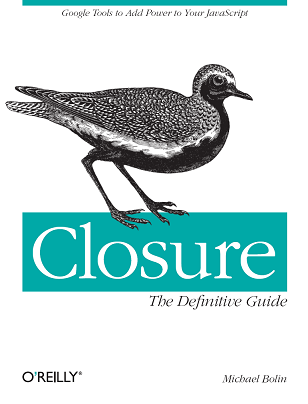 At some point, I'm planning to do a webcast with O'Reilly on Closure, so that might be a good opportunity to record a plovr demo that can be shared with everyone.